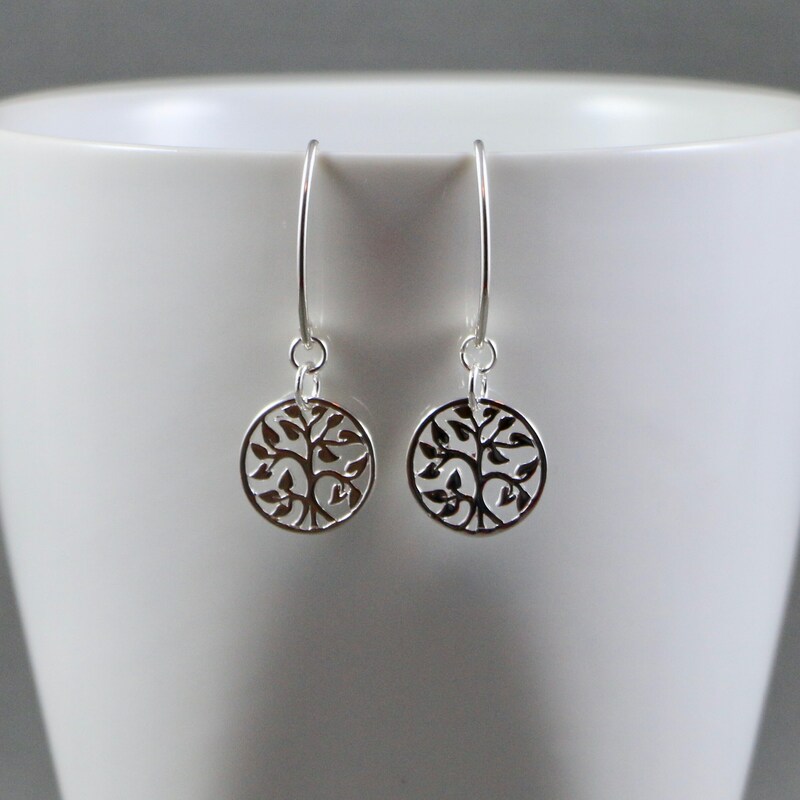 The tree of life is a symbol of a fresh start on life, positive energy, good health, growth, and strength. 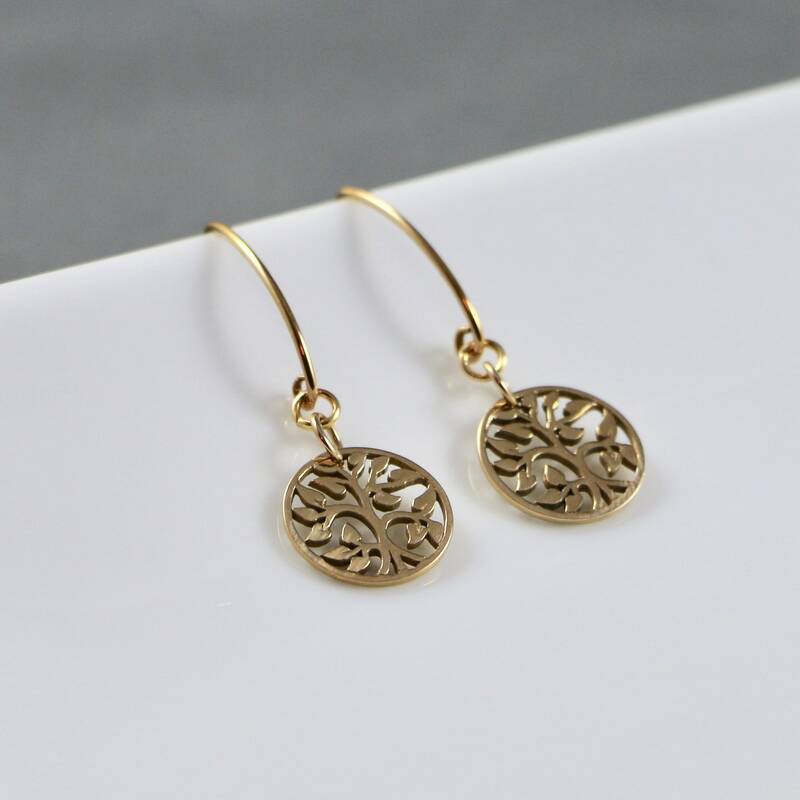 As a symbol of immortality, a tree grows old, yet it bears seeds that contain its very essence and in this way, the tree becomes immortal. 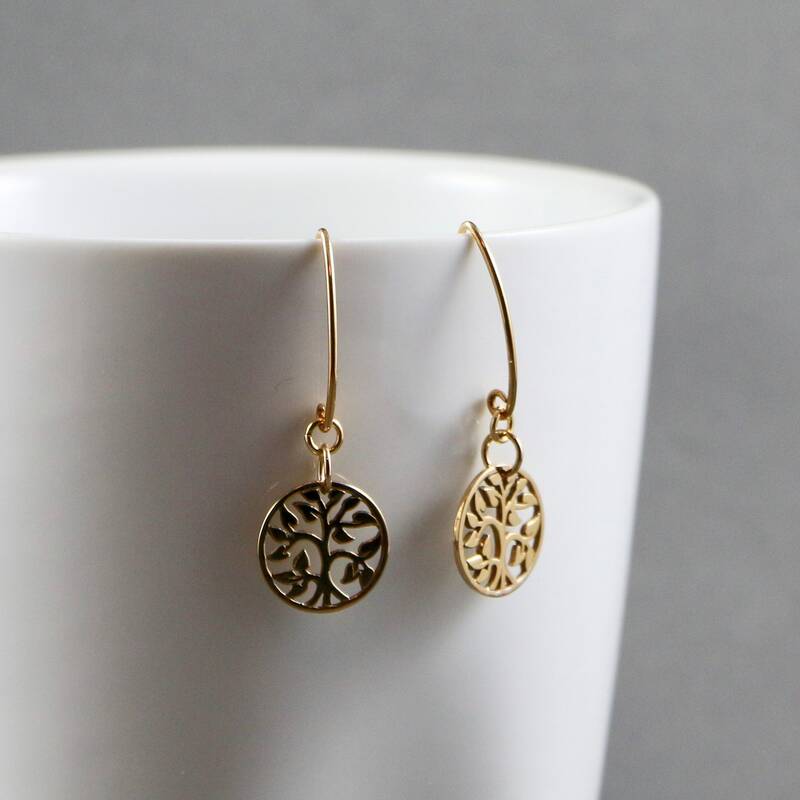 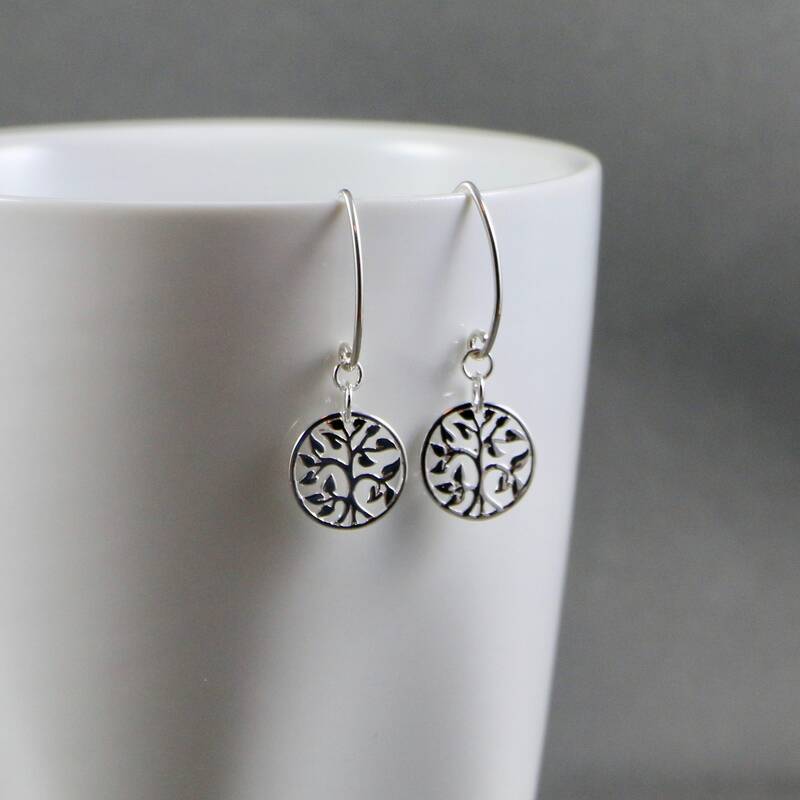 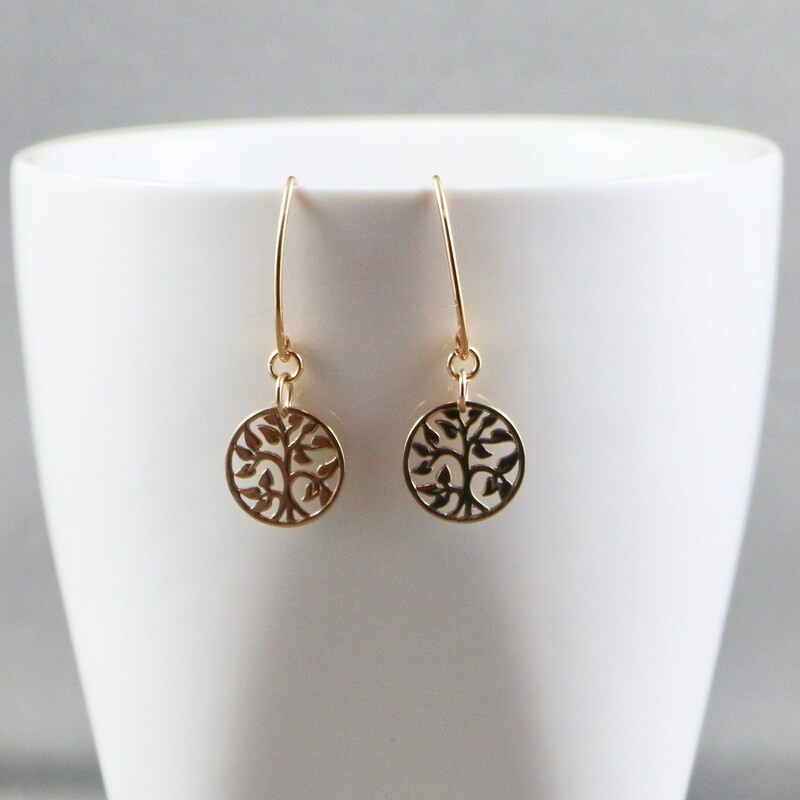 Earring Ingredients: Small (15mm) Tree of LIfe charm suspended from either 14kt gold-filled or sterling silver elongated ear wires. 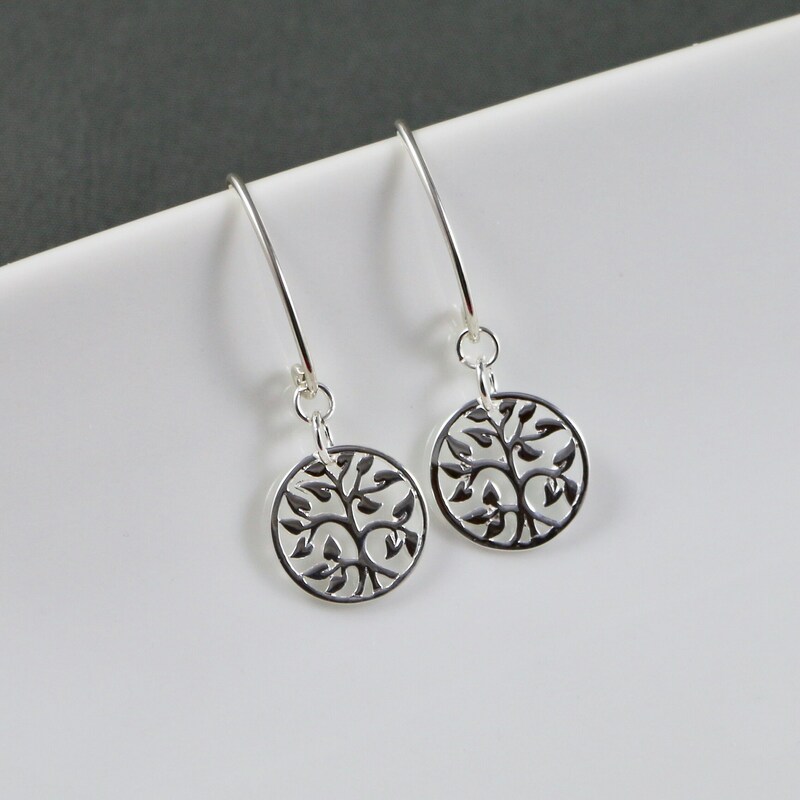 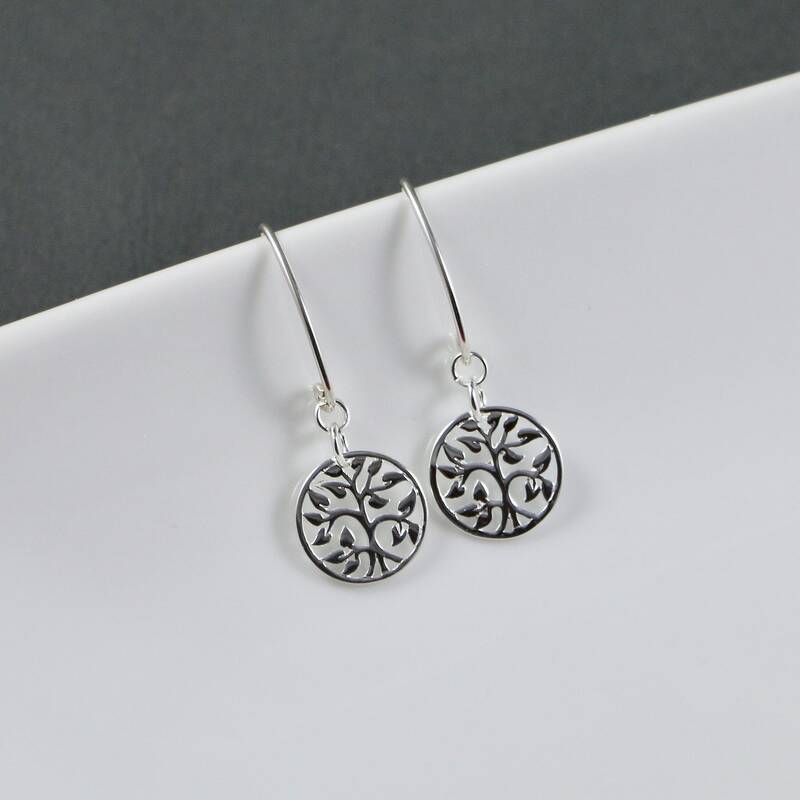 Earrings are approimately 2" from end to end. 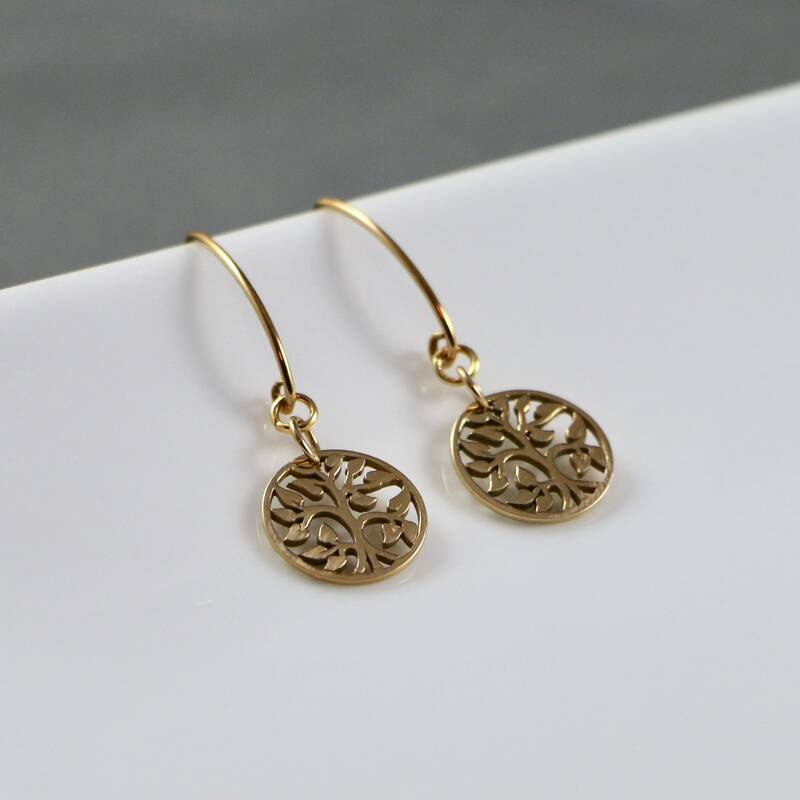 The Bronze Tree of LIfe Pendant and Charms are made out of high quality alloy of copper and tin alloy and coated in a Thai bronze that has an anti-tarnish compound mixed into the metal alloy that will delay but not eliminate eventual oxidation.